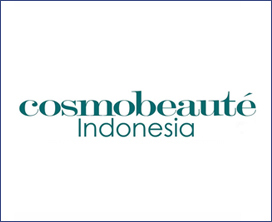 Cosmobeaute Indonesia is the largest and the most important professional event for the beauty industry and spa sector in in the most populous nation in ASEAN, Indonesia. The exhibition facilitates business-networking platform for exhibitors, importers, suppliers and visiting buyers for optimised business opportunities. Cosmobeauté is far more than an exhibition though. It’s unique format extends into networking and business matching providing a uniquely powerful opportunity for brands and suppliers to do business, as well as build their brands. Cosmobeauté offers the perfect opportunity to accelerate your own company – in one place and at one time. There can be no more efficient way to grow your business in the Southeast Asian region.